Who are Texas Master Gardeners? Master Gardeners are members of the local community who take an active interest in their lawns, trees, shrubs, flowers and gardens. They are enthusiastic, willing to learn and to help others, and able to communicate with diverse groups of people. What really sets Master Gardeners apart from other home gardeners is their special training in horticulture. In exchange for their training, persons who become Master Gardeners contribute time as volunteers, working through their Texas A&M AgriLife Extension office to provide horticultural-related information to their communities. Training If accepted into the Master Gardener program, you will attend a Master Gardener training course. Classes are taught by Texas A&M AgriLife Extension specialists, agents, and local experts. The program offers 72 hours of instruction that covers topics including lawn care, ornamental trees and shrubs, insect, disease, and weed management; soils and plant nutrition, vegetable gardening; home fruit production; garden flowers; and water conservation. The training for Rockwall County is held in cooperation with four other nearby counties from August through November every year. Volunteer Commitment In exchange for training, participants are asked to volunteer time to their County Extension program. At least 72 hours of volunteer service within one year following the training is required to earn the title of “Texas Master Gardener.” The type of service done by Master Gardeners varies according to community needs, and the abilities and interests of the Master Gardeners. Some Master Gardeners answer telephone requests for information related to gardening. Others assist with plant clinics or classes in the community. 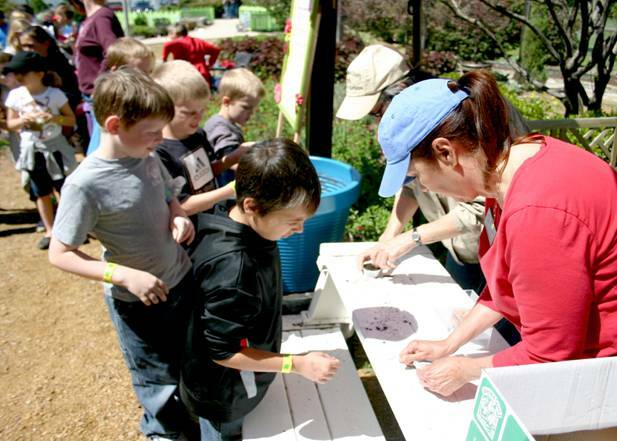 Master Gardeners may speak to local groups and conduct workshops. They may help establish community garden projects, work with youth, or assist their agent with news releases and newsletters related to gardening. The Master Gardener Coordinator in the County Extension office decides how volunteer time can be best utilized. 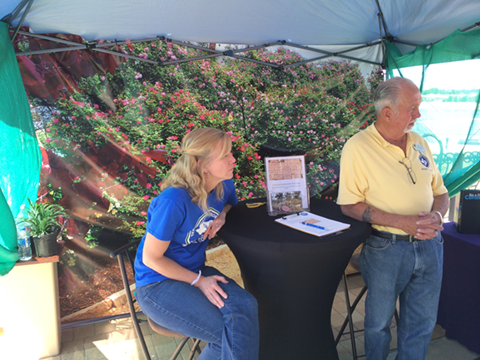 Master Gardeners are representatives of Texas A&M AgriLife Extension Service, The Texas A&M University System. In all volunteer work related to the program, Master Gardeners follow the research-based recommendations of Texas A&M AgriLife Extension. The title “Texas Master Gardener” can be used by volunteers only when engaged in Extension-sponsored activities. Certification Participants become certified Master Gardeners after they have completed the training course and fulfilled their volunteer commitment. For More Information Application forms and additional information are available from the Rockwall County Extension Office and in the ABOUT US section of rockmga.